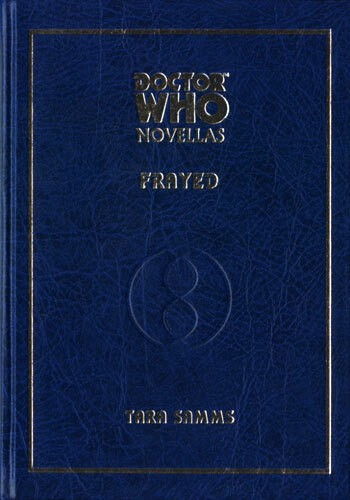 Before we welcome the Thirteenth Doctor to our screens, the DWCA Book Club is going back to the beginning with one of the first chronological appearances of the First Doctor and his granddaughter Susan, in the 2003 novella ‘Frayed’ from Telos Publishing. On a blasted world, the Doctor and Susan find themselves in the middle of a war they cannot understand. With Susan missing and the Doctor captured, who will save the people from the enemies from both outside and within? Frayed has been out of print for several years but is currently stocked in very limited quantities at the DWCA Shop, with the deluxe edition of the text now at the special price of $30 (other deluxe Telos novellas also available at the standard price of $60). Signed by author Tara Samms (a pseudonym for regular Who writer Stephen Cole), illustrator Chris Moore and editor Stephen Laws, it’s a true collector’s item! Frayed will be discussed at the DWCA Book Club meeting on Friday 5 October. You can also comment on our Facebook page if you can’t make the event.